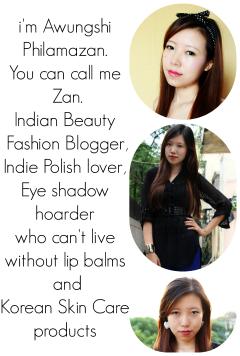 Jealousness is famous among the Asian beauty bloggers for its eye liner. Read on to find out if this product worked for me or not. It comes in a girly bright pink pen with floral details drawn in black. Looking from outside nobody will think its a pen liner. It just looks like a very pretty pen. Something Reese Witherspoon from Legally blond would use. The felt tip is soft and tapering. Can be used to draw thin lines precisely. The flow of the liner is also good. It is very pigmented and one swipe can be used to create a thin deep black line. And claims to be waterproof but i found that on my lids the aren't. After few hours of wearing it they start getting uneven so i prefer to re-line it with my Loreal gel liner. so there is not much of an option there. If you would like to try it then go ahead. Many people have good experience with this liner. The soft tip Helps in making quick precise lines esp for cat eyes /winged looks. Can be used on waterline without any irritation. Easy to carry around and can be used to touch up the eye make up anywhere. But is not waterproof on me. or i guess i was expecting too much from it and it didn't reach my expectations. The price is a little on the expensive side for a pen liner. EYECANDYS mainly deals with circle lenses but they also sell a lot of make up,skin care and fashion accessories too. You can use my code DRPOISONIVY to get freebies with your order. whoa! Your eyes look like doll's eyes as ever!! The color payoff is so intense on the eyes! Ya,the liner is really pigmented. My only prob with it would be d staying power. But these are so convenient and easy to use. Loved the color on your eyes. Seems to be a great product. Thanks for the lovely review. Would love to try this on my eyes. i know right? so pink! The liner looks good for precise lines! Pen Liners are really easy.. especially for beginners. i always looking for a good and affordable liner. this liner was cool! nice tutorial and very cute packaging . Still, if you are going out for a short while, it would be really handy.